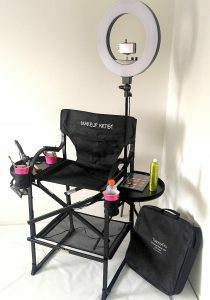 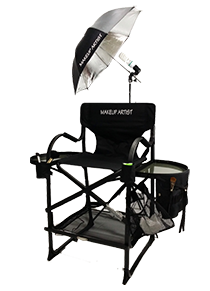 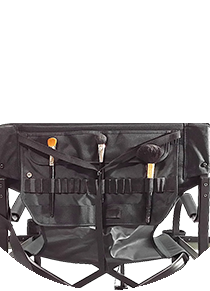 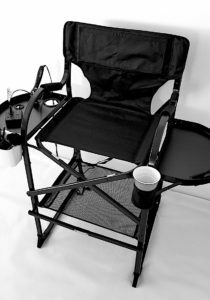 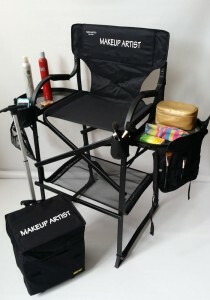 Add portable makeup chair with innovative style to your chart. 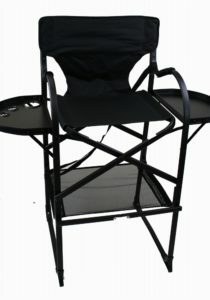 These chairs have strong-built aluminium frame and cushioned seats for comforts. 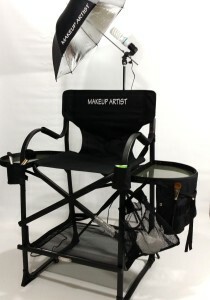 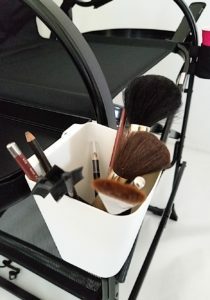 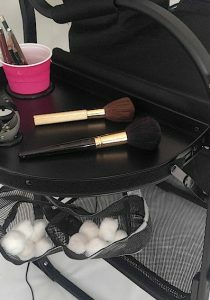 Easy to store, fold and travel these makeup artist chairs have many other classic features. 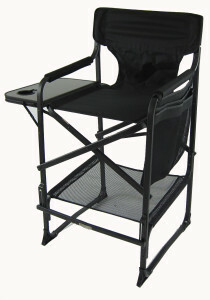 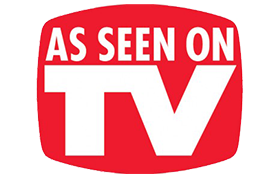 Foot and arm rests are the standard characteristics of these chairs. 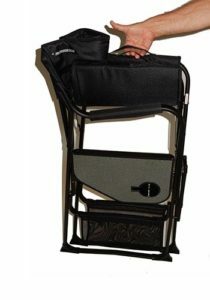 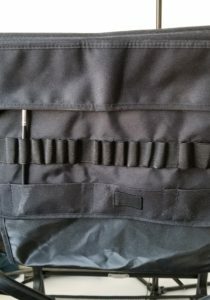 These chairs are also accompanied by leg stabilizers for height adjustments, convenient storage pouch, brush holders and attached tray. 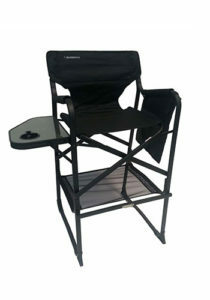 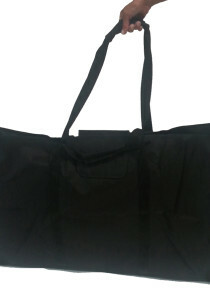 High durability and firmness make this folding makeup chairs beneficial to users.